In Grade 4, Paul Safi was the best goalie on the soccer pitch at school. By Grade 7, he would drop a pencil at his desk and not be able to find it on the floor. Safi has retinitis pigmentosa, a hereditary degenerative eye disease that has rendered him legally blind. 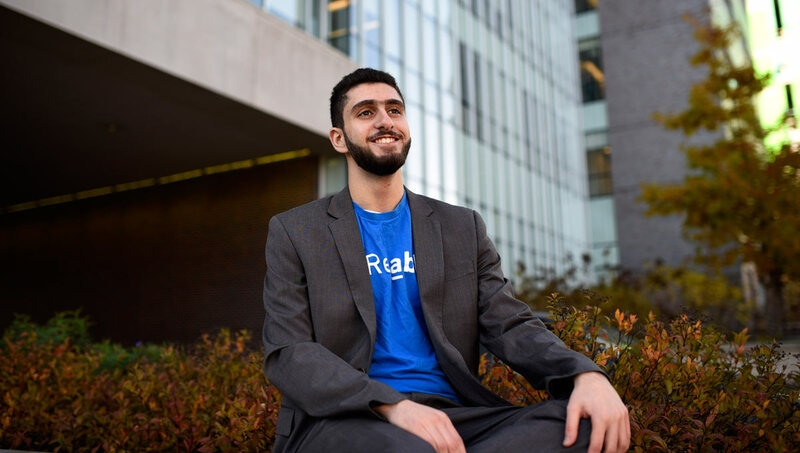 A Lebanese-Canadian born and raised in Abu Dhabi, the capital of the United Arab Emirates, Safi choose to attend Carleton because the university’s culture of accessibility and support for students with disabilities offered an opportunity to live independently. 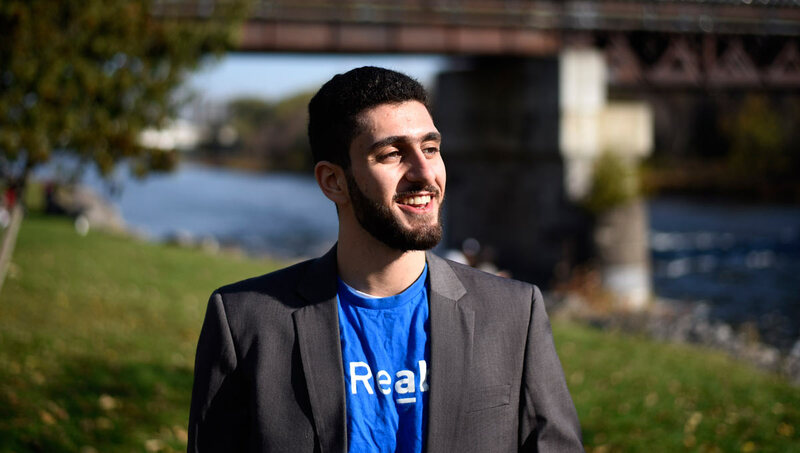 Now the 20-year-old third-year psychology student has sprung out of Carleton’s entrepreneurial ecosystem to start a company that promises financial independence for people with cognitive challenges. “I wanted to launch a business that was not built around one product but a whole ideology of empowerment,” says Safi, whose start up, ReAble, has graduated from the Barclays-backed Techstars accelerator in Cape Town and is getting ready to roll out an app that will help people conduct banking transactions safely and simply. Before his eyesight deteriorated, Safi wanted to be a doctor. He shifted his focus to psychology because it’s also a healing profession, but his plan to proceed straight to grad studies has been put on hold by the success of ReAble. The idea behind the company arose in the summer of 2015, when Safi was visiting family in Lebanon. 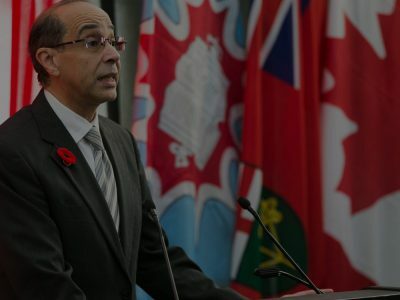 His parents are both from there but emigrated to Canada and lived in Montreal for a decade before moving to the UAE for work, giving their son dual citizenship. In Lebanon, Safi met a friend’s cousin, Emile Sawaya, who has a background in computer science. They went to an entrepreneurial ideation event where attendees were encouraged to think about problems for which no solutions exist. Sawaya has a brother who is autistic and has trouble handling money. Safi had turned to technology when diminishing eyesight left him unable to read text on paper — he could still read large white text on black tablet screens or listen to audio lessons to study. Maybe technology, he wondered, could help Sawaya’s brother manage his finances? People with conditions such as autism may not understand the difference between a $1 bill and a $100 bill. They can see the two additional zeros but might not comprehend the difference in value. When buying something at a store with cash, they might not know what change to expect, or even that they should wait for change. If using a credit card, they may not be able to relate the cost of their purchases to the money in their bank account. “The banking industry caters to the general population,” says Safi. Safi and Sawaya, ReAble’s head of research and CEO respectively, came up with a plan to develop an app that could walk people with autism through financial transactions — for instance, by keeping track of the amount of cash in your wallet and recommending the best combination of bills and coins required to make a purchase, and letting you know what change you should receive. Voiceovers and illustrations could also help users conceptualize numbers and money. 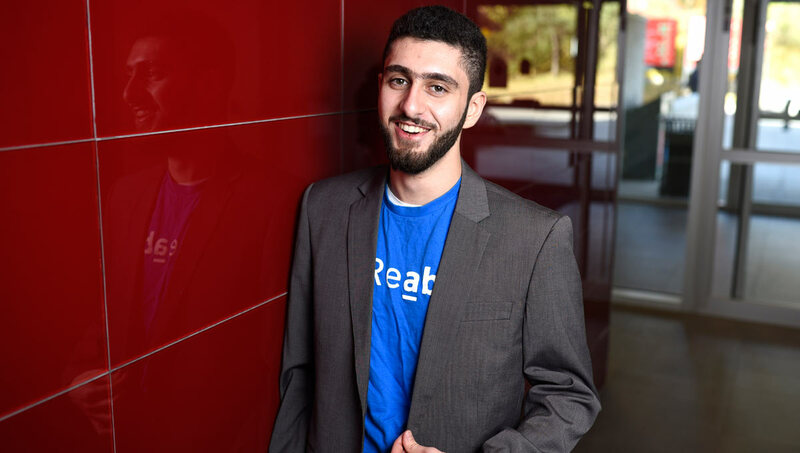 In the fall of 2015, Safi spent some time at Hatch, the Carleton University Students’ Association entrepreneurial organization. 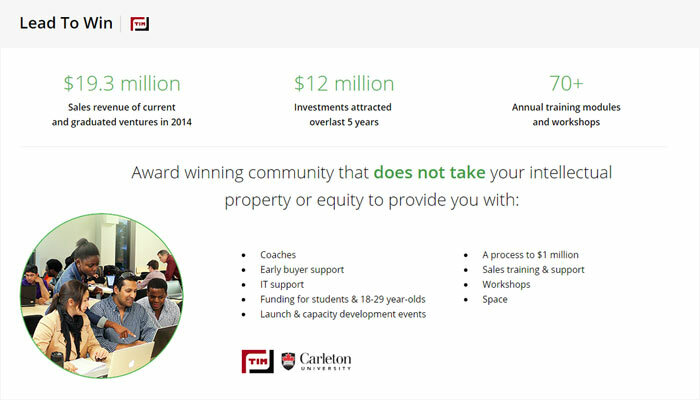 Then he applied for and, on his first attempt, was admitted into Carleton’s Lead To Win business incubator. 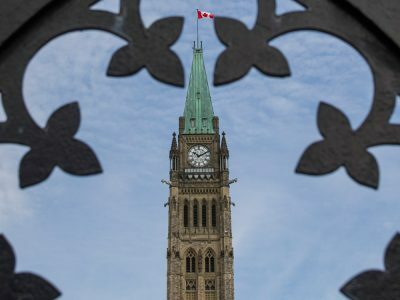 “I was incredibly impressed when I met Paul,” says Tony Bailetti, the executive director of Lead To Win and director of Carleton’s Technology Innovation Management master’s program. “He has a solid heart, a lot of passion, and he’s got it right in building a global market from the start. “I always tell my students: look at the things that are problematic in your own life and try to address them. Paul identified a problem and came up with a solution. With a personal connection, you’ll understand more and be driven more to get things done. Safi’s success also speaks to the potential for people with disabilities to become entrepreneurs, which can be a challenging path to pursue, but no more difficult than overcoming the barriers to conventional employment. 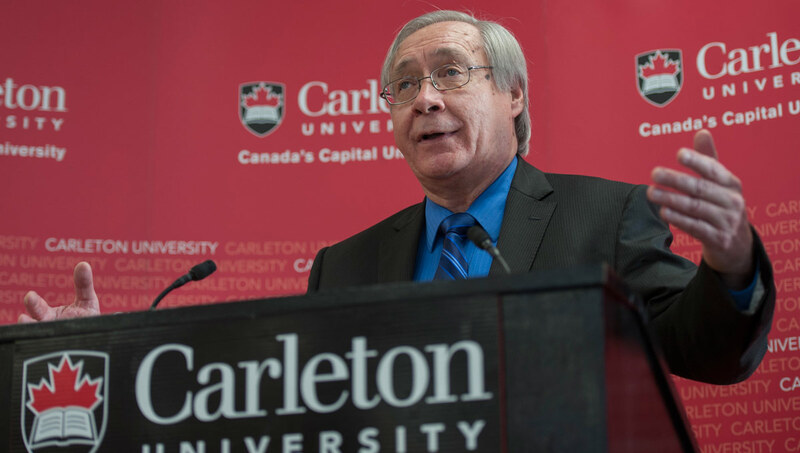 “Carleton provides tremendous support and accommodations for students with disabilities,” says Bailetti. As a member of Lead To Win, which offers professional work space and meeting rooms in the St. Patrick’s Building, Safi benefited from mentorship, sales and marketing advice, and networking events. He also received $8,000 in funding through a Nicol Internship. This experience helped propel Safi and Sawaya to the BDL Accelerate’s Early Stage Startup Competition in Beirut in December 2015, when they beat 21 competitors to win the top prize: $10,000 in support. During the 13-week Techstars program in Cape Town, Safi met and sought feedback from bankers, CEOs and high-powered investors. They saw that he was addressing a legitimate niche market and were receptive to his ideas. 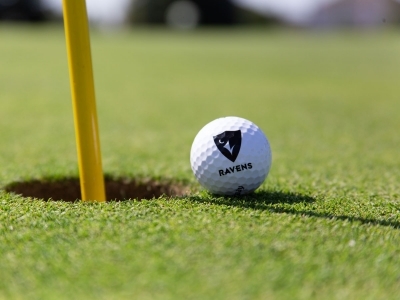 This past spring, Safi and Sawaya incorporated ReAble in Delaware. Their next step, before the end of 2016, will be to launch a virtual reality game (ReAble Chef) that will teach basic cooking skills to the cognitively challenged. “It is the first of many skills development games we are building to increase the autonomy of those with cognitive challenges,” says Safi. In mid-February, supported by a US $50,000 loan from Barclays, they plan to release the ReAble Pay platform, allowing users to try their financial app for the first time. After that, the platform could be adapted to meet the needs of people with other disabilities, including visual impairment. But first Safi and Sawaya know they need to satisfy their core market. 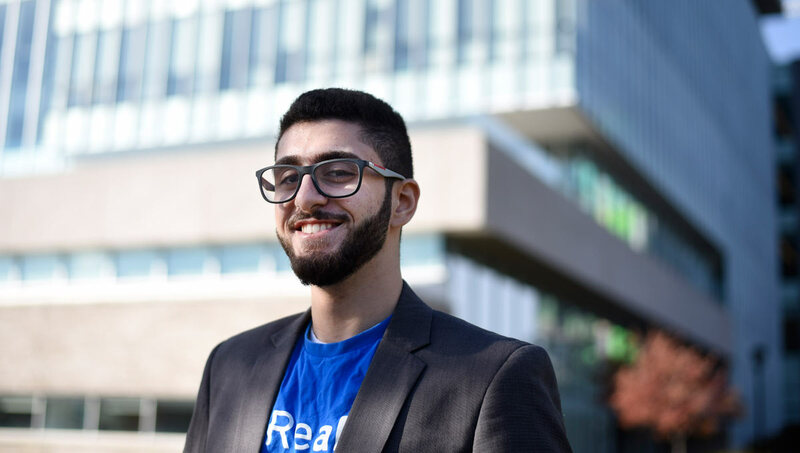 “ReAble has the potential to change people’s lives,” says Safi, who has scaled back his studies to part-time, but is still thinking about a PhD in clinical psychology down the road. “Right now, when somebody with autism wants to buy something, they usually have to rely on somebody else: a brother, parent or friend. That doesn’t give them much independence. 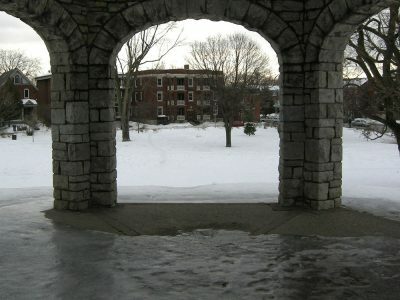 Carleton Prof. Susan Ross and her grad students help the Lowertown Community Association achieve heritage designation for Macdonald Gardens Park.